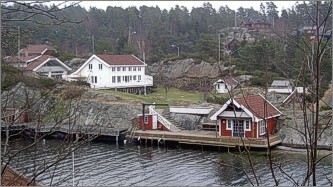 Kongshavn Studios are located just outside Kristiansand by the sea in beautiful surroundings at Kongshavn. 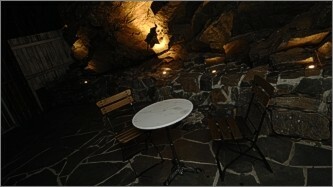 The combination of atmosphere and the ultimate in studio technique, makes a stay here a very special experience. The heart in Studio A is a classic Neve VX mixer, the latest in the V-series from Neve. The mixer comes from Right Track Recordings in NY, where it resided from 1997 until 2005. In close partnership with ProTools HD3, equipped with 48 AD/DA converters, as well as a permanent setup for surround sound, Studio A is equipped with some of the finest tools for music production and multi-channel mixing for video and film. 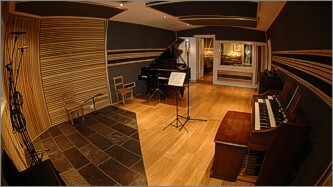 Studio A is 126 sqm and includes a control room, studio 1 and studio 2. Studio 1 is 40 sqm and the main room which houses a beautiful totally restored Bechstein grand piano from the first half of the 1900's, and a Hammond A100 with Leslie 122. Studio 1 has several acoustic sections that range from soft to hard and gives the opportunity of exciting acoustic combinations. Studio 2 is 14 sqm and primary a vocal room with a more dry sound and is perfect for recording of soloists where you want a tight and close sound. 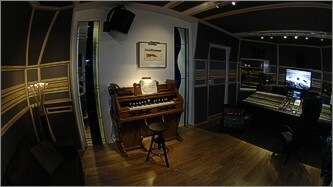 Studio B is a programming studio equipped with Logic 8 and hardware/software synthesizers and other plug-ins. 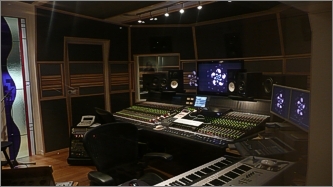 This studio is primarily aimed at pre/post-production and contains basically no recording capabilities. In addition to the studios, there are two apartments with kitchen facilities and living room, so you have the opportunity to have a "chill-out” zone away from the studios.